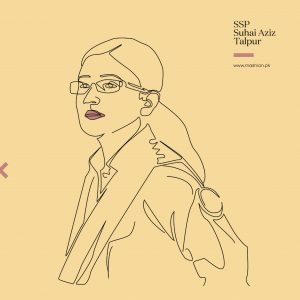 Think Pakistani bloggers are missing in action when it comes to the international fashion scene? Think again. Get ready to be glued to your phone all day as we take you through you some of the trendiest blogs on Instagram. Their roots are closer to home than you may think and their western influence may even inspire you to upgrade your wardrobe – sounds like a win-win to us. 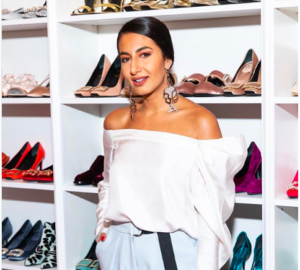 The founder of Desert Mannequin, Anum Bashir’s style is feminine, masculine, minimalist, and quirky all at the same time. 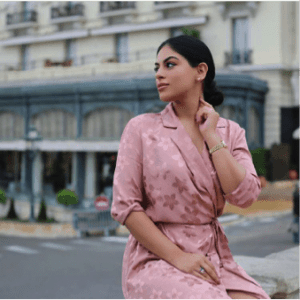 Anum – who has collaborated with several high profile brands such as Chanel and Monica Vinader – has set the benchmark for fashion blogging in the Middle East rather high. This fashion girl is one of our all-time favourites. 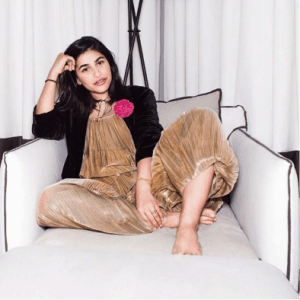 Nausheen Shah is our favourite New York City it-girl. 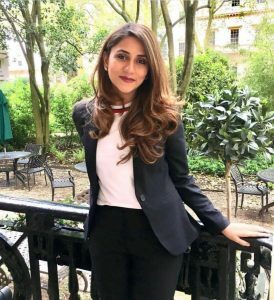 Nausheen – who began her career with the blog ‘A Shah’s Life’ – has established herself as a top freelance stylist and a fashion/travel contributing editor for numerous international publications, including Marie Claire, Bergdorf Goodman, L’Officiel and Harper’s Bazaar. In addition to her Persian and Pakistani heritage, Paris is one city that defines her style. Zahra Ayub is a fashion stylist between London and Los Angeles. She also works for Vivienne Westwood in LA. Her KenGi-esque style has caught the world’s attention but if that wasn’t enough, a sneak peak into her uber-cool life has us sold. When she’s not attending fashion week, she’s partying with Oliver Rousteing of Balmain. Need any more reasons to love her? We think not. We started following London-based fashion and beauty blogger for her simple chic style and the way she makes high street brands look 50,000 times more expensive. But more recently her easy to imitate makeup tutorials have us visiting her page every time we need a little inspiration for a night out. 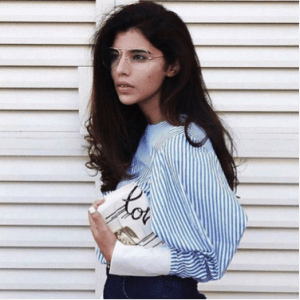 Nisa Tiwana is a fashion, beauty and lifestyle blogger based in Dubai. Her style will definitely be a hit for those of you who like adding a feminine flair to classic looks. This stylista has also mastered the art of combining high street and high-end labels to create an impactful outfit. Those of you looking to get inspired, look no further – she is your answer. Once a member on the British reality TV show Desi Rascals, this makeup artist and blogger’s style will fascinate any girl who isn’t afraid to experiment. She is the ultimate London it-girl but is still aesthetically in touch with her Eastern roots — an interesting combination and one that will appeal to many of you. A partner at a Miami based PR and branding agency as well as a contributing fashion editor at Mojeh magazine, Iman Hasan has got it all. The trendiest summer wardrobe, killer abs and the coolest life. Follow her to get the lowdown on the inner workings of the Miami fashion scene and try some of her daring looks on your next beach vacation. Amna Hasan Tahir is #VacationGoals and #StyleGoals all at once. When she’s not holidaying, she is hitting up the Lahore social scene looking like a million bucks. Her wardrobe is the one we want to secretly steal. Trust us, you’ll want to do the same. Her account is also perfect for those of you who love fashion with a side of travel. 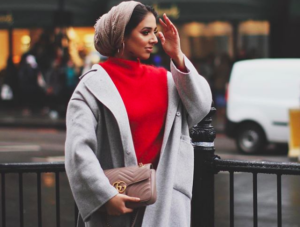 Annam Ahmad is a London-based modest fashion blogger. Her blog is truly inspirational for those of you who want to dress modestly but don’t know how to keep your fashion game strong. Call it western influence or whatever you want, but Annam has definitely nailed that balance, and that’s what sets her blog apart from the rest. If you missed the #KissMuss wedding on Instagram last year then you must be living under a rock. The bride Anooshe Mussarat is a blogger with a life most girls would die for. 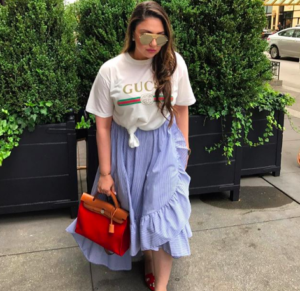 She is the daughter of Pakistani businessman Anil Mussarat, the best friend of Bollywood’s ultimate fashion it-girl Sonam Kapoor, and one of the most intriguing fashionistas on the internet. This lifestyle blog is one of our must-follows on the list.